Desirable Rodgers Forge 3 Bedroom 1.5 Bath Home - Large LR with Bay Window Formal Dining Room Hardwood Floors -Kitchen w/Breakfast Bar - Master Bedroom w/Built Ins- Lower Level Cozy Family Room TV/Game area Half Bath and Laundry Last Updated on 4/17/2015. 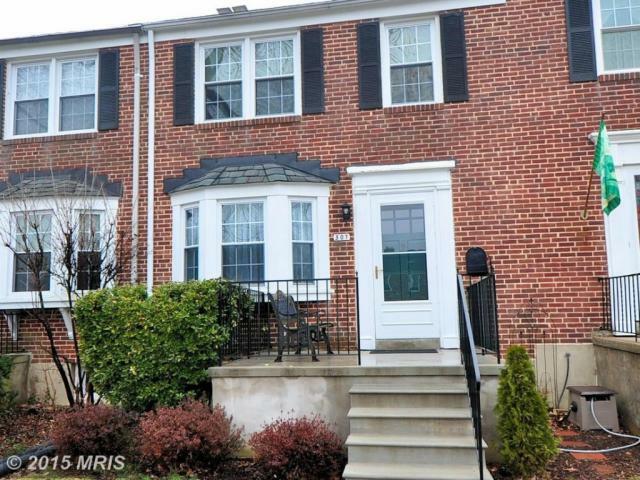 307 Old Trail Rd, Baltimore, MD 21212 is a 1 bathroom, 1,216 sqft townhouse built in 1956. 307 Old Trail Rd is located in Rodgers Forge, Baltimore. This property is not currently available for sale. 307 Old Trail Rd was last sold on Jun 18, 2015 for $278,000 (1% lower than the asking price of $279,900). The current Trulia Estimate for 307 Old Trail Rd is $279,976.